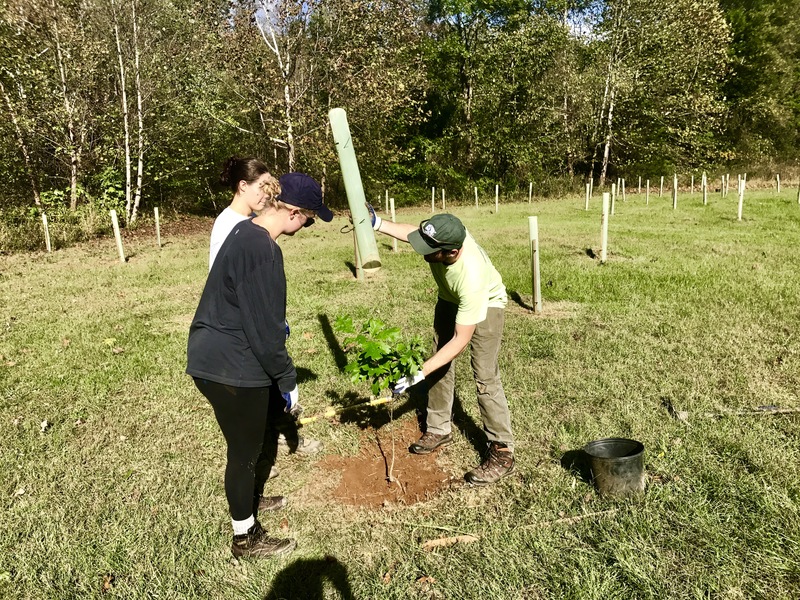 Join Friends of the Rappahannock and Piedmont Environmental Council on Friday April 26 to help us plant trees along a stream that flows to the Thornton River on a farm in Rappahannock County Virginia. The project is focused on planting trees to reduce erosion, protect water quality, and improve habitat for fish and wildlife. We have all the materials needed including tools, gloves, plants, water, and snacks. We recommend bringing a hat or visor and a reusable water bottle. Conservation staff will be on the site to provide instruction on planting methods, safety talk, and to answer questions about the project and the larger restoration efforts taking place across the region. This project requires volunteers to work on a farm and in and around a large river which has lots of gravel, cobble, boulders, and mud. The river has a swift current and water temperatures are still very cold so caution is advised near the river. All participants must complete and sign a WAIVER (link to waiver.) Any participate under 18 must have a waiver signed by a parent or guardian. Three incredible riverside trail heads into Shenandoah National Park are only a short drive away which makes this a perfect part of a full day escape into the mountains!